I love movies. I really do. One of my favourite things to do is to duck into a theatre on a Sunday afternoon and escape for a couple of hours. The first movie I saw in a theatre was 101 Dalmatians; I must have been 7 or 8. It was in a small town Saskatchewan theatre, and I loved it. All those poor puppies and that horrible Cruella. My taste has expanded over the years, from movies that made me laugh so hard I thought my ribs would crack ("Death at a Funeral"; "Napoleon Dynamite"), to those that broke my heart into a million pieces ("Away From Her"; "Finding Neverland"; "A Single Man"). Those that were visually stunning ("Scent of the Green Papaya", "Bleu", "The English Patient"), and those that I never wanted to end ("Almost Famous"; "Lost in Translation"; "Edward Scissorhands"; "Little Miss Sunshine"). Then there are those where I thank the Lord that John Hughes was ever put on this planet ("Sixteen Candles", "Pretty in Pink", "Ferris Bueller's Day Off"), and those movies I just love and could watch over and over again, and I do ("Love Actually"; "Sense and Sensibility"; "Four Weddings and a Funeral", and of course "Bridget Jones' Diary". Hmmmmmm. Those all have Hugh Grant in them. Coincidence? Maybe not. Then there are those movies where I screamed in the theatre, to the horror of my friends ("Silence of the Lambs", "The Sixth Sense"), and those movies that freaked me out so much I had to sleep with the light on for weeks ("Blair Witch Project", "The Ring"). Some movies made me want to dance in the theatre ("Dirty Dancing", "U2: Rattle and Hum", "Muriel's Wedding"). And some where I actually did ("Rocky Horror Picture Show", several times). Then there are those movies that were so unique and flabbergasting, I walked away in awe, wondering what the hell just happened ("Memento", "Eternal Sunshine of The Spotless Mind"; "Inception") And those movies about finding true love, and never giving up on it ("Once", "(500) Days of Summer", "The Princess Bride"). Being that I'm all about food, I love movies that made me hungry ("Like Water for Chocolate", "Big Night", "Julie and Julia") So you get the picture. I love movies. A lot. After my Birthday and Christmas and Summer Solstice, Oscar Night is my favourite night of the year. Not just for the glittery glamour and Oscar pools and cute boys in tuxedos, but I love the celebration of movies and the art of movie making. Sometimes the best movies don't win, and most often my favourites don't. But what the hell. I watch year after year, staying up too late, snacking on too many snacks, but loving every minute of it. So this year for Oscar Night I'm whipping up some appetizers to take over to my Mom's (she has the bigger and better TV!). Gotta have good eats for the night. or until golden. 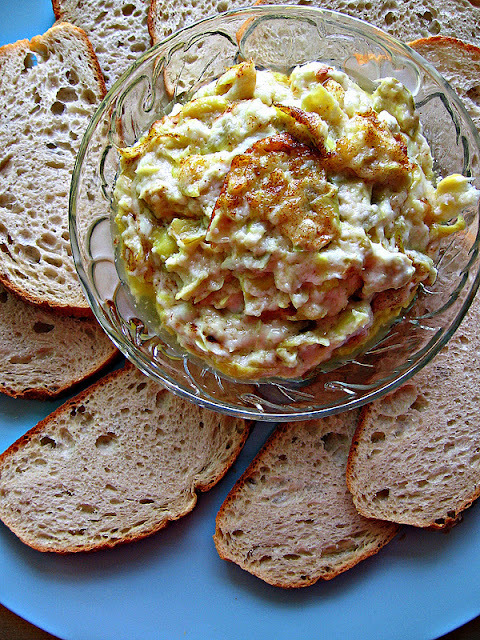 Put on a platter with good bread or pita chips. Dig in. 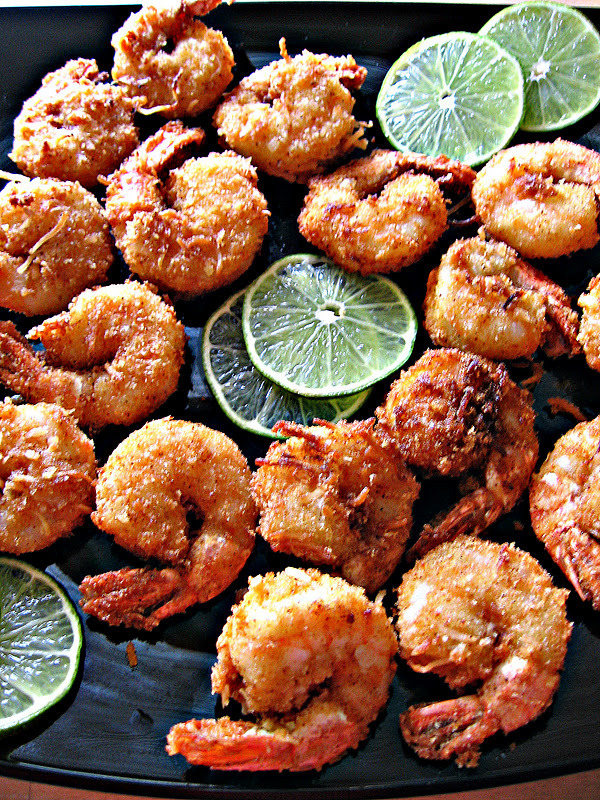 You can't have a party, or sit in front of the TV for four hours without some shrimp. These coconut/panko/chili lime babies will fulfill that need. Spicy and sweet, and yes, there is a little deep fry action going on. But oh so worth it. And finally. 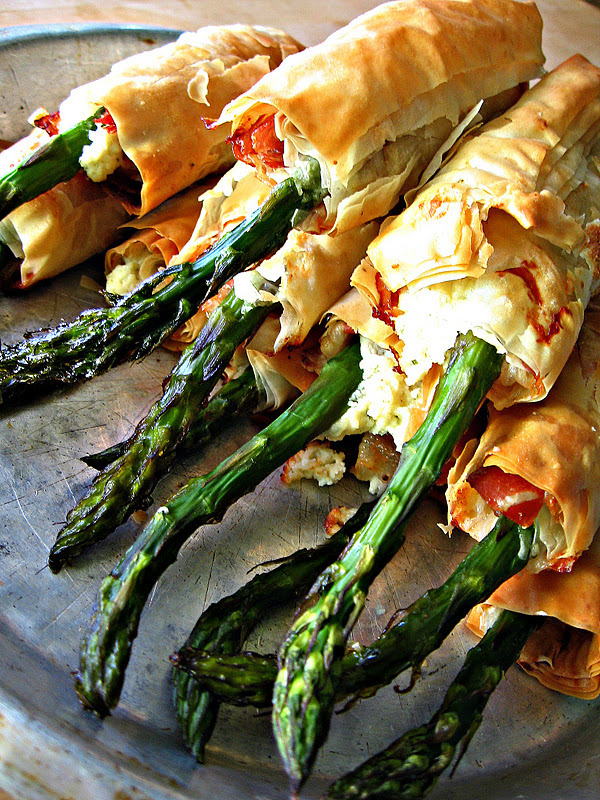 We have Asparagus, Prosciutto and Goat Cheese Phyllo Bundles. 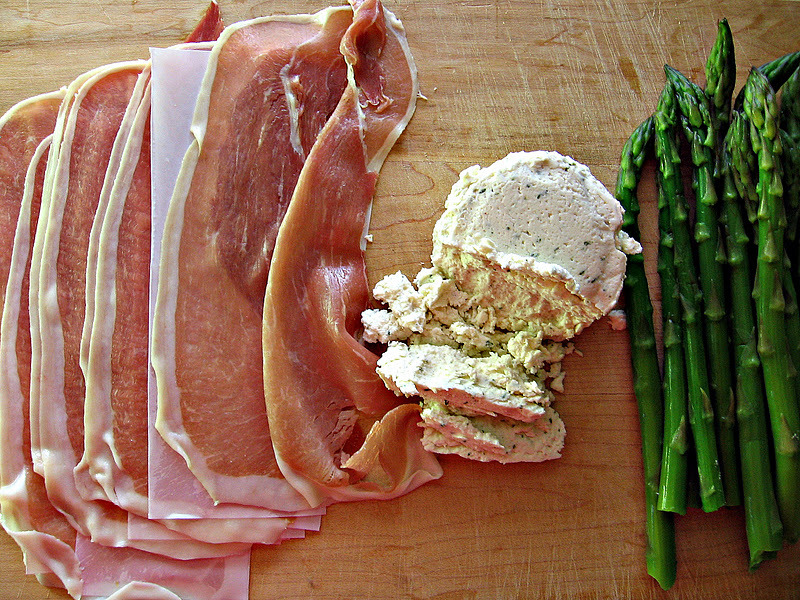 Crispy on the outside, salty, creamy, asparagus-y in the middle. Flavour flavour everywhere. To blanch the asparagus, heat a pot of boiling water. 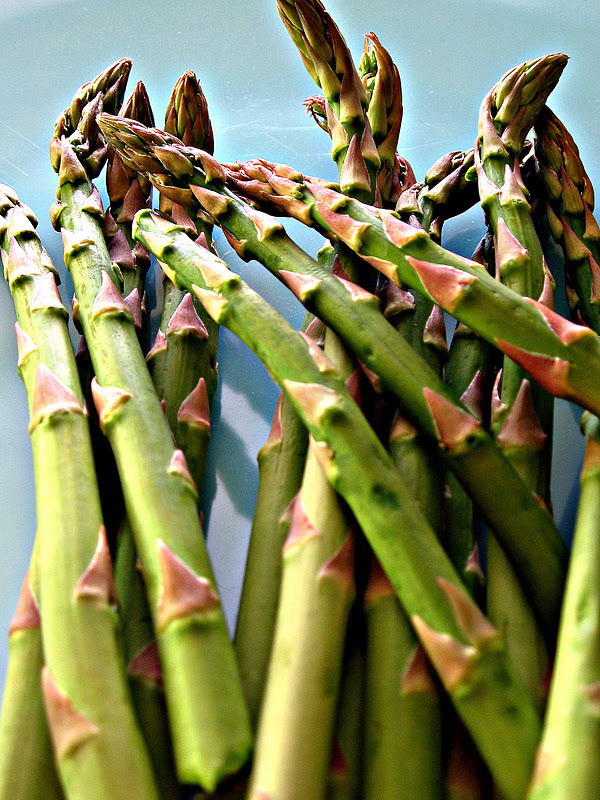 Drop the asparagus in and cook one minute. 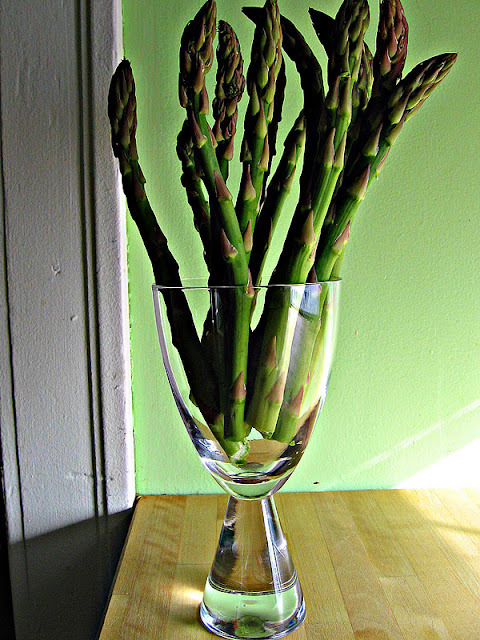 Have a bowl of ice water beside, and drop the hot asparagus into cold water. When completely chilled, remove and drain on paper towels. Lay first sheet of phyllo down on cutting board. Brush with butter. Repeat for next 3 layers. Cut into 12 squares. Lay one piece of prosciutto on each square, then the cheese, then the asparagus. 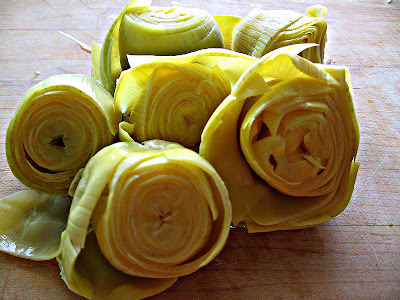 Roll up tightly. Place on a parchment lined bake sheet, and brush with more butter. Bake for about 15-20 minutes until golden brown. Serve warm. Oh my God. So good! oh yum! 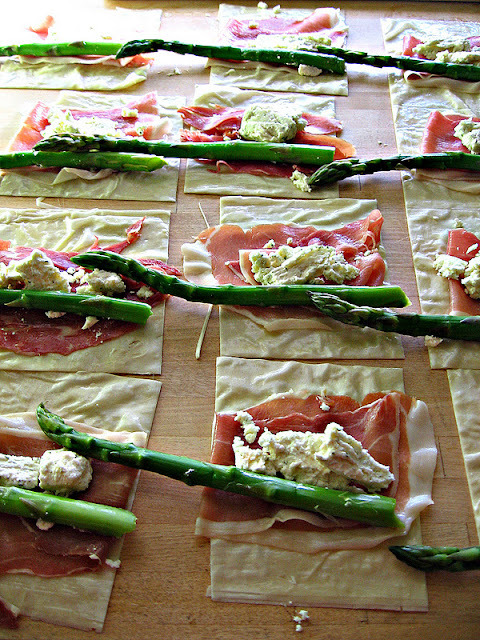 those asparagus wraps look divine!! what did you think of the show? was a bit disappointed with the hosting. i think younger people just aren't as comfortable on that kind of stage, which is a shame i think they were expecting the opposite. anyway, you were spot on with your best actor(tress) picks! you should have bet on it!! cheers. The show was a bit of a disappointment; no real drama other than the f bomb. A few great dresses (Cate Blanchett, Michelle Williams, Anne Hathaway in red) and a couple of good speeches (love you Colin!) The asparagus wraps are incredible. Not super pretty, but super good! I made the prosciutto asparagus goat cheese ( I used asiago cheese ) bundles for book club and everyone loved them! Great recipe! Delicious...thank you for the idea!